Protesting against Government of India issuing a second advertisement for the appointment of four information commissioners (ICs) in the Central Information Commission (CIC), several concerned citizens*, in a letter to Prime Minister Narendra Modi, have said, the ad, as also the accompanying notification, suffers from the same defect which existed in the earlier one – it does not mention the salary and tenure of ICs, as specified in the Right to Information (RTI) Act. This has been done, states the letter, despite the fact that, in December 2018, the concerned citizens had brought to the notice of the selection committee, headed by the Prime Minister, and responsible for recommending names of Central Information Commissioners, that the ad that was issued by the Government of India for appointing the Chief and four ICs, was “defective” on similar grounds. Copies of the letter have been sent to two other members of the selection committee – Opposition leader Mallikarjun Kharge and Finance Minister Arun Jaitley. We are writing to express our strong reservations about the process followed by the government for inviting applications and short listing candidates for the position of information commissioners in the Central Information Commission (CIC). 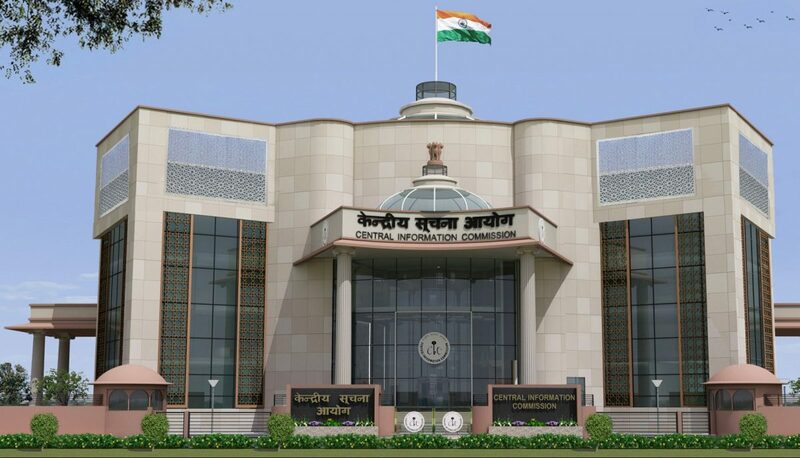 In 2018, when the government advertised for the post of the Chief and information commissioners of the CIC, the advertisements and the accompanying notifications inviting applications for the posts, were not in keeping with the RTI Act as they did not specify the salaries, allowances, other conditions of service and tenure of information commissioners, as provided for in the law. We had written a letter dated December 10, 2018 to bring this defect to your notice. However, despite our letter pointing out the serious flaws, the selection of four information commissioners and the Chief was finalised without any corrective action being taken. We are shocked to note that, once again, the advertisement and accompanying notifications issued by the government on January 4, 2019, for the remaining four vacant posts in the CIC are flawed and defective. “5. The salary, allowances and other terms and conditions of service of the Information Commissioner shall be as may be specified at the time of appointment of the selected candidate.” This makes a complete mockery of the appointment process. Empowered and independent institutions such as the Information Commissions play a crucial role in safeguarding and furthering fundamental rights of citizens of the country. In order to ensure that people of eminence, who work independently without fear or favour, are appointed to the information commission, the RTI Act guarantees an exalted status and fixed tenure to information commissioners. The vagueness of the advertisement appears to be a deliberate attempt to undermine the selection process. It would be unreasonable to expect people of eminence to apply for a post without the knowing the terms and conditions of service. In fact, in an on-going case, the Supreme Court took serious note of the subversion of the appointment process resulting from issuing of flawed advertisements and complete lack of transparency in the process of selection. In its order dated December 13, 2018, the Court directed the Central government to put on the website names of the search committee members, names of the candidates shortlisted and the criteria followed for selection. It is a matter of grave concern that the aforementioned directions were not complied with by the government for almost a month. The information was uploaded on the Department of Personnel and Training (DoPT) website only after the appointment of the Chief and four commissioners was already made. Opacity and vagueness in the process of appointments seriously erodes public trust in institutions. We urge the committee to take immediate steps to ensure that the government suitably rectifies and re-issues the advertisement for the post of four information commissioners, in compliance with the RTI Act, so that the committee may have the benefit of selecting from a comprehensive list of appropriate and eminent candidates. Further, the directions of the Supreme Court regarding transparency must be complied with, in letter and spirit, for all appointments of information commissioners. We hope the committee will urgently take note of the issues highlighted above and take appropriate action.